Seeing what happens if I fill this out. Seeing what happens if I fill this out. Seeing what happens if I fill this out. Seeing what happens if I fill this out. Seeing what happens if I fill this out. Focused on Windows Server 2008 administration, this course covers planning server roles; maintaining server security; planning data storage, network load balancing, and server backups; managing software deployment and versioning; monitoring IPv6, server performance and capacity, and Active Directory(r) replication; scheduling server deployments; and designing a rollback contingency plan. Focused on Windows Server 2008 networking, this course covers configuring remote access, Network Access Protection (NAP), network authentication, IPv4 and IPv6 addressing, and Domain Name System (DNS) replication; capturing performance data and monitoring event logs; and managing file and print services. Focused on Windows Server 2008 enterprise administration, topics include planning networks and application services; designing core identity and access management components; planning for migrating, upgrading, and restructuring domains and forests; implementing PKI; and designing virtualization strategy. Focused Windows Server 2008 Applications Infrastructure technologies, this course covers Terminal Services, Web Services infrastructure and security, Media Server, Microsoft Windows(r) SharePoint(r) Services server options, File Server, Print Services, network maintenance, and Simple Network Management Protocol. Focused on Windows Server 2008 Applications Infrastructure technologies, this course covers Terminal Services, Web Services infrastructure and security, Media Server, Microsoft Windows(r) SharePoint(r) Services server options, File Server, Print Services, network maintenance, and Simple Network Management Protocol. Focused on planning and managing a client life-cycle strategy, designing a standard image and client configurations, planning Windows 7 client deployment, managing application compatibility, and identifying and resolving issues with deployment and configuration. In SWITCH, you will learn to plan, configure, and verify the implementation of complex enterprise switching solutions for campus environments using the Cisco Enterprise Campus Architecture. This course is a component of the Cisco CCNP Routing and Switching curriculum, and it is designed to give a firm understanding of how to manage switches in an enterprise campus environment. The course focuses on planning tasks, evaluations of designs, performance measurements, configuring and verifying, and correct troubleshooting procedures and documentation tasks. From this course you will learn the foundational topics for critical analysis, planning, verification and documentation, while configuring tasks would have been mastered in the CCNP ROUTE and CCNP SWITCH material. The course walks you through several real-world troubleshooting examples to help you refine your study in the art of troubleshooting. This course covers all CCNP ROUTE objectives for mastering routed network construction, support, and scalability, including: " Assessing complex enterprise network requirements and planning routing services " Applying standards, models and best practices to complex networks " Creating and documenting routing implementation plans " Planning, configuring, verifying, and troubleshooting EIGRP solutions " Implementing scalable OSPF multiarea network solutions " Implementing IPv4 based redistribution " Assessing, controlling, configuring, and verifying path control This course assumes that you have been exposed to concepts covered by CCNA (ICND1 and ICND2), but does not assume any prior knowledge of CCNP concepts. As a developer with broad knowledge of Salesforce applications, you configure and manage Sales and Service Cloud applications and suggest ways for your company to get even more from additional features and capabilities. With a developer credential you will demonstrate core knowledge and your ability to take on the responsibilities of this job. It is an important investment in your career as an Administrator. · To enable participants to have understanding of Sales force CRM business functionality, configurations and development of applications using apex/visualforce pages/webservices. Upon successful completion of course participants will be able to clear sales force developer certification. · Creating Campaigns and Leads and managing them. · For sales professionals; covers day-to-day use of Salesforce CRM. Understand the value of Salesforce CRM's sales functionality and learn to take deals through the entire sales life cycle. Creating and managing Events and Tasks. · For all users who want to generate reports and analyze Salesforce CRM data. Learn to create reports to strategically analyze campaigns, leads, accounts,contacts, opportunities, forecasts, cases, solutions, and documents. · For all users. Get up to speed on social media, how it relates to Chatter, and how Chatter relates to your business. · Learn all about leads and how to use them to build your pipeline in Salesforce CRM. · Creating a campaign and target lists, execute a campaign, track responses, and analyze your campaign's effectiveness. This course covers the many tools available through the Service Cloud. Learn the creation and management of cases and solutions as well as the agent productivity tools. Also learn the functionality of the self-service portal and customer portal. Getting Started with Service and Support - Introduces the tools and processes covered in the course. Case Management - Learn how to create cases and manage them through related lists and the cases home page. Solutions - Follow a solution from its creation and the initial draft stage through the reviewed status. Agent Productivity - Learn what tools are available to manage support reps' case loads easily and efficiently, including related lists, the console, reports, and dashboards. Portals - Learn how the self-service portal and the customer portal empower your customers to leverage your existing knowledge base. · Effectively use accounts and account relationships to keep track of your key clients. · Explore the relationships between contacts and other key Salesforce .CRM items like accounts and opportunities. Learn how to manage and keep in touch with your contacts. To enable participants have understanding of Salesforce CRM business functionality ,configurations and other administrative tasks. The course structure is also designed for participants to clear Salesforce certification for administration. The course contains concise information on security essentials and standards, using practical examples and insights drawn from real-world experience and covers key exam topics including network technologies, media and topologies, devices, management, tools, and security. First Things First: What's a Network? In this payroll certification program you will learn the payroll process with payroll terminology defining the daily workload of the beginning payroll practitioner. 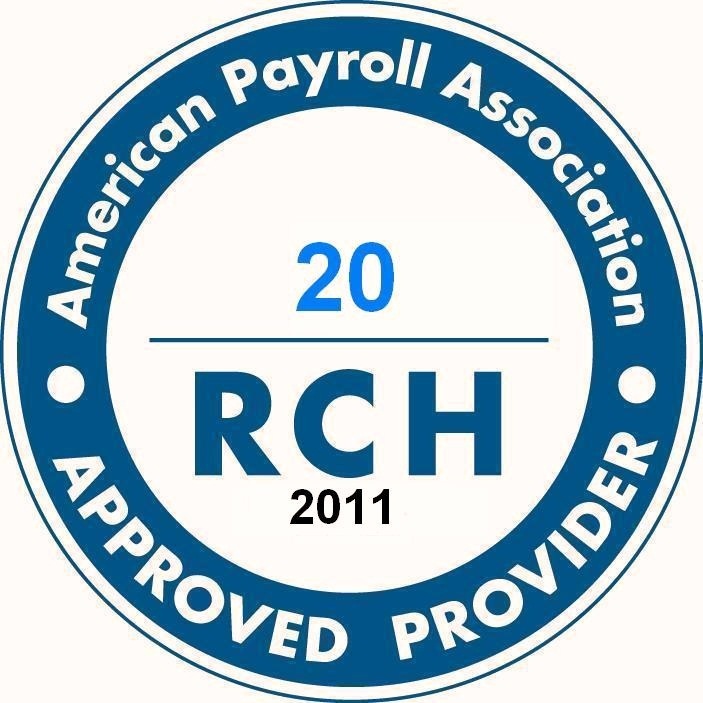 This program provides a thorough overview of the laws and regulations that affect payroll. Practical experience is also gained through "hands-on" computer-based exercises that allow each participant to work through actual payroll forms and payroll calculations. Issues such as how the payroll function impacts the accounting, benefits, and human resources departments are discussed, as well as the more complicated legal issues like benefits taxation, third-party sick pay reporting, and involuntary deductions. This course will cover Microsoft office 2010 and Bookkeeping. In Microsoft Office the modules covered are: Microsoft Word, Excel, Powerpoint, Access & Outlook.In Microsoft Office the modules covered are: Microsoft Word, Excel, Powerpoint, Access & Outlook. · What are the Common Tasks Shortcuts? The course includes the exam and focus on the year end Adjusting Entries. Students will learn the complete bookkeeping cycle from beginning a set of books, entering the transactions and closing the financial records at year-end. Students will also learn how to complete the transactions using computer software programs and spreadsheet. · · Introduce students to use Microsoft Excel. businesses. · · Learn the setup for General Ledger, Accounts Receivables & Accounts Payables. Certified Bookkeeping course will lead to national certification with The American Institute of Professional Bookkeeper (AIPB). The AIPB certification is a high professional standard and the only national standard for bookkeepers. The course will teach the concepts of bookkeeping-accounting, using theory of double entry bookkeeping. The course is designed for students who are interested in gaining knowledge and experience for seeking a new career in Accounting and Bookkeeping. The course includes the exam and focuses on the main subject areas: Adjusting entries and Payroll.. This course will help QuickBooks users who are just getting started and those who want to know if their QuickBooks Accounting software is properly setup. It is also helpful for those who are interested in setting up new features in the QuickBooks Accounting program that is not currently being used. This course is also designed to help you learn more about processing transactions and how they affect the general ledger and the financial statements of the business. · Introduce students to a popular bookkeeping software, Quickbooks, used by many small businesses. · Set up Quickbooks, enter data accurately, and manage the bookkeeping function for a small business. · Use the Campus Infrastructure module of the Enterprise Composite Network model to design an efficient and expandable enterprise network. · Define VLANs to segment network traffic and manage network utilization. · Implement multilayer switching to enable higher-data throughput communication between isolated VLANs. · Introduce Wireless LANs (WLANs), explain the differences between wired and wireless LANs, describe WLAN topologies, and implement Cisco WLAN solutions. · Secure devices in their Campus Infrastructure module networks against service loss and data theft. · Describe the remote connectivity requirements for secured access and explain the alignment of these requirements with Cisco network architectures . · Describe the converged network requirements within the Cisco conceptual network models with focus on performance and wireless security . CCNA 1 is the ICND1 and provides the fundamental knowledge prerequisite to successfully complete the CCNA 2 ICND2 course. Together, the ICND1 and ICND2 courses provide the preparation that Cisco recommends for the Cisco Certified Network Associate examination. This course is the preparatory course for the CCNA Voice Certification. This course provides you with the knowledge and skills required to plan, design, and deploy a Cisco voice-over-IP (VoIP) network and to integrate gateways and gatekeepers into an enterprise VoIP network, as well as a thorough understanding of converged voice and data networks. Implementing Cisco IOS Network Security (IINS) is the preparatory course for the CCNA Security certification. This course provides you with the knowledge needed to secure Cisco routers and switches and their associated networks. This course focuses on the necessity of a comprehensive security policy and how it affects the posture of the network. Basic tasks to secure a small branch type office network using Cisco IOSÂ(r) security features available through the Cisco Router and Security Device Manager (SDM) web-based graphical user interface (GUI) and through the command-line interface (CLI) on Cisco routers and switches. · Maintain integrity, confidentiality, and availability of data and devices. · Understand the technology Cisco uses in its security infrastructure.. This certification is for System Administrators tasked with performing essential system administration procedures on the Solaris ™ Operating Environment (Solaris OD) and technical application supports staff responsible for administering a networked server running on the Solaris OS. In this course you will be introduced to Unix operating system and its supporting tools. · Learn how to login as a UNIX account and execute essential UNIX commands. · Hands-On Labs progressively build your UNIX knowledge and skills.